A humanoid covered in metallic spikes. Unfriendly and harsh, approaching the bladeling is ill-advised, unless they invite you move towards them. Their abrasive attitude makes them well suited to their home plane. Plane of Origin – Acheron. The whirling ice and iron blades of Ocanthus mark the home of the Bladelings. This warlike race is driven by relentless pursuits of advancing their own existence while keeping everyone else out. Indeed very xenophobic, they are quick to turn hostile when anyone gets too close. Within their own society, they are quite closed and live in a strange theocratic society, favoring women for the role of religious leader. However, men are given opportunities in sorceries. Magical Attacks. All attacks made by a Bladeling count as magical. Multiattack. The Bladeling may attack with Claws up to two times per round. Claws. Melee Weapon Attack: +4 to hit, reach 5ft., one target. Hit: 5 (1d6 + 2) slashing damage. Battle Hammer. Melee Weapon Attack: +3 to hit, reach 5ft., one target. Hit: 8 (2d6 + 1) bludgeoning damage. A hit target must make a DC 12 Dexterity saving throw or be knocked prone. Ocanthus Axe. Melee Weapon Attack: +3 to hit, reach 5ft., one target. Hit: 5 (1d8 + 1) slashing damage plus 3 (1d4) cold damage. Blade Storm (1/Day). The Bladeling can conjure the blades on its flesh forth into a shrapnel barrage. All creatures within 15ft. of the Bladeling must make a DC 14 Dexterity saving throw or take 16 (3d10) piercing damage. However, after using this ability, the Bladeling’s spikes are weakened. Until it finishes a long rest, the Bladeling no longer has resistance to fire and cold damage types. At first glance, these creatures look like bipedal badgers, with some of the general bodily frame of dwarves in tact. Two branches of society have split between these hairy creatures; one that favors the natural way and one that tries to emulate dwarves… sometimes to the extent of worship. 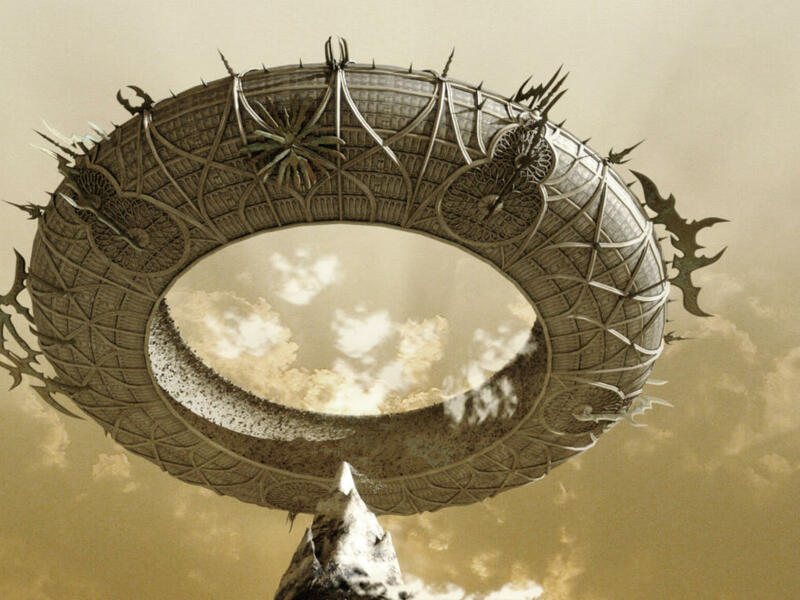 Plane of Origin – The Beastlands/The Seelie Court. In truth, these creatures descended from dwarven planes explorers. The troop made their way into the Beastlands, trying to set up an operations base to prove that their might can survive anywhere. However, their excessive meddling upset a visiting sylvan power from the Seelie Court. 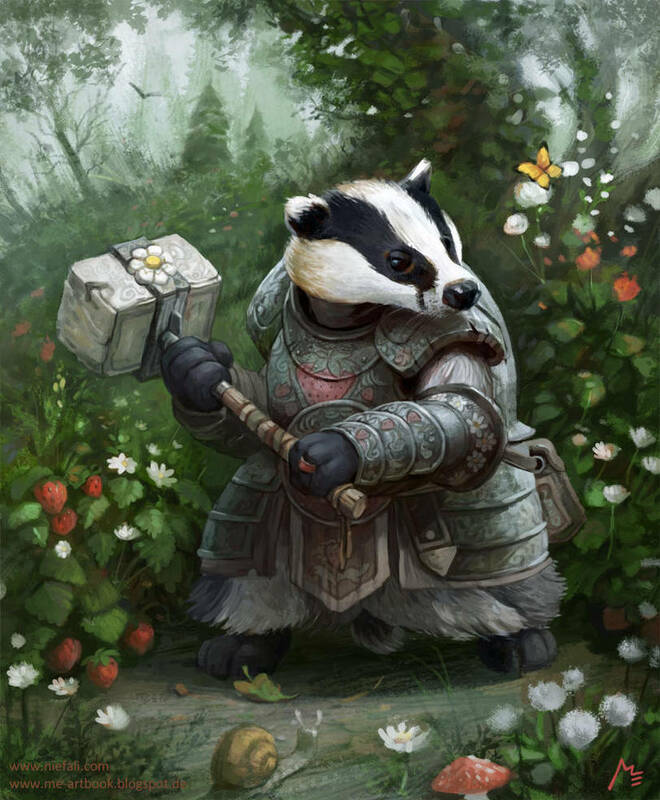 The explorers battled the entity and ultimately repelled it, but not before a dread curse was cast on them, causing them to become more like badgers. Many fled into the wilds of the plane, while others clung onto their dwarven roots. Speed 25ft. ; Climb 20 ft., Burrow 10ft. Off-Hand Strike. The Meles may use its bonus action to make a claws attack with an open hand, after taking the attack action. Poison Resistance. You gain advantage on saving throws vs. becoming poisoned. You have resistance against poison damage. Reckless Attack. The Meles can fly into a frenzied attack. By choosing to fight with reckless attack, tt gains advantage on its melee attacks for the round. However, all attacks against the Meles grant advantage until the start of its next turn. Strong Smell. You gain advantage on Wisdom (Perception) checks using smell. Those who keep their dwarven roots strong tend to reflect this ancestry in various ways. Many have recalled the ways and crafts of dwarvenkind, paying tribute however they can. Some even try to better resemble them, growing out fluffy beard-like fur. In full armor, they could in theory pass as a dwarf. Dwarven Craft. It is proficient in checks with one of the following sets of tools: smith’s tools, brewer’s supplies, mason’s tools. Stonecunning. The Meles may roll Intelligence (History) checks involving stonework with a doubled proficiency bonus. Battleaxe. Melee Weapon Attack: +5 to hit, reach 5 ft. , one target. Hit: 7 (1d8 + 3) slashing damage, or 8 (1d10 + 3) slashing damage if used with two hands. Warhammer. Melee Weapon Attack: +5 to hit, reach 5 ft. , one target. Hit: 7 (1d8 + 3) bludgeoning damage, or 8 (1d10 + 3) bludgeoning damage if used with two hands. A flickering and fluttering creature of flame. The firebat, despite looking similar to the material plane animal, is strikingly cunning. It catches creatures off guard by swooping down and latching onto them, as its fiery presence burns its victim’s flesh. Plane of Origin – Plane of Fire. A common pest on the fire plane, these creatures have propagated to a massive size. On their home plane, they’re known to bite at and bother whatever elemental fire creatures are minding their own business. Some have tried their best to make a bond with them. When an outer planar creature arrives upon the plane of fire, a flock of fire bats will often congregate to feast on the exotic meal. Echolocation. The fire bat can’t use its blindsight while deafened. Keen Hearing. The fire bat has advantage on Wisdom (Perception) checks that rely on hearing. Latching Burn. At the start of a grappled target’s turn, the target takes 2 (1d4) fire damage and 2 (1d4) piercing damage. Swooping Strike. The fire bat may roll a Stealth check when it flies in to attack a creature. Furthermore, it has advantage on any creatures it surprises. Bloodsucker Bite. Melee Weapon Attack: +5 to hit, reach 5ft., one target. Hit: 4 (1d4 + 2) piercing damage plus 3 (1d4) fire damage. Furthermore, the fire bat grabs onto the target. A DC 13 Strength check can remove the fire bat, but will inflict 2 (1d4) fire damage from attempting the check. A smoky and barely visible giant feline monster. These hunters quietly stalk the Nine Hells, their eyes bristling with hate filled hellfire. It prowls the underworld, looking for anything too far out of line. While more wild than most devilish creatures, it reveres brutal authority. In theory, a harsh and unforgiving plane wanderer could bond with such a creature. Plane of Origin – The Nine Hells. While not a true devil, these creatures are very much at home in the hellscape that is Baator. From fiery crags and burning ledges, the hellcat leers and waits. There wispy forms alllow them to blend in the light, only making themselves visible in the darkness or when their prey is about to meet its end. They favor the company of the native devils of Baator, lashing out against nearly everything else. Devilsight. The hellcat can see in magical darkness, which isn’t impeded by its glow in darkness. Light Invisibility. While exposed to bright or dim light, the hellcat turns invisible, granting it all of the advantages of said condition. While in darkness, it becomes visible, albeit a glowing outline of a creature. Magical Resistance. The hellcat has advantage on saving throws against spells and magical effects. Rake and Bite. If the hellcat hits with a claw attack, it may use a bonus action to make a bite attack. Multiattack. The hellcat makes two claws attacks per round. Claws. Melee Weapon Attack: +7 to hit, reach 5 ft., one target. Hit: 9 (2d4 + 4) slashing damage. A horrid mass of limbs and tentacles. The creatures slosh and dart around, as if they were bestial. However, their intelligence betrays their savage looks. Their psychic influence on others is enhanced by deadly artifacts that they have carried from their own realm. As their decadent race continues to decline, all they can hope to do is control as much as of the mortals around them as possible, to amass something like what they once had. Fortunately, the last of them have vastly declined in power. Plane of Origin – Deep Ethereal. The truth surrounding this creature is a mystery. Rumors tell of a distant far realm where aberrations might come from. It is likely that it breached through some threshold and was lucky enough to find a material home. A whole race of these creatures made their way to a prime material many ages ago. Their talents were great, but they eventually fell. Through the power of the slave stones, they could amass armies, but they were eventually rebuked back to their home dimension. However, some still linger. Some speak of a Far Realm, while others mention a Dreamlands. Speed 20 ft., climb 20 ft., swim 15 ft. Languages Common, Deep Speech, Telepathy 60 ft. Grappled Slam. 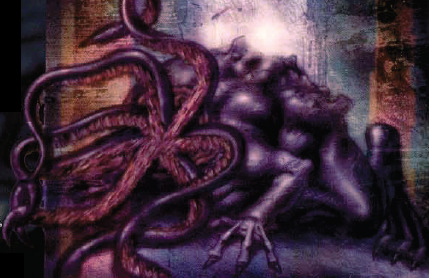 When a creature is grabbed the Faranth’s face tentacles, it may use a bonus action to slam them against the ground, dealing 10 (3d6) bludgeoning damage. Tentacles. Melee Weapon Attack: +5 to hit, reach 5 ft., one target. Hit: 5 (1d4 + 3) bludgeoning damage, plus the target is grabbed. The target must succeed the escape action with a DC 13 to break free. Slave Stone Pendant. Instead of an attack, the Faranth may place a Slave Stone pendant on another creature. The creature must make a DC 14 Wisdom saving throw or be charmed to all Faranth who are within a 300 ft. proximity for upwards to 1 day or until dispelled. If the Slave Stone itself is destroyed, this ability has no effect. Likewise, this doesn’t affect creatures who are immune to charms. Campaign Option: The Slave Stone. The Faranth are attuned to a nearby powerful and large relic called a Slave Stone. These evil artifacts suppress and depower creatures around them, making them servile and easy to manipulate. Non-Faranth cannot attune to the stone. Faranth also try to stay close to the stone, making it a part of the creature in a sense. Coming within 20 ft. of the Slave Stone causes a non-Faranth to make a DC 16 Wisdom saving throw. Upon failure, the target is charmed to all Faranth in the area until the effect is dispelled or the rock is destroyed. The stone itself has 80 hit points. It resists damage from spells, as well as non-magical weapons. When brought down to 0 hit points, the stone explodes and launches blasted bits in a 30 ft. burst. All creatures within range must make a DC 16 Dexterity saving throw or take 5 (2d4) piercing damage. Infused Attacks. The Faranth deals an extra 2 (1d4) psychic damage with a successful attack once per round.